Cocaine Mechanism of Action: How the Drug Works? How Does Cocaine Work and Affect the Brain? Cocaine is a strong and highly addictive stimulant that is made from the leaves of the coca plant, endemic to South America. It is typically sold as a white crystalline powder that can be taken in several ways. The most common is insufflation or snorting, which delivers it directly to the blood vessels in the nostrils. Other ways it is taken include injection, smoking (especially in the form of crack cocaine) and ingestion through the mouth. 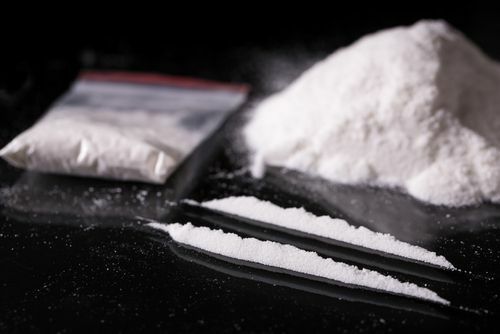 Drug dealers often try to inflate their profits by cutting cocaine with substances like baby powder (talcum), over the counter medications, amphetamines, and flour. How cocaine works depend largely on the purity of the sample, the dose and the level of tolerance the person has. How Does Cocaine Work in General? What Does Cocaine Do to Your Brain? How Long Does Cocaine Take to Work? People who take cocaine typically do so in a recreational setting. It is favored for its ability to increase arousal and stamina to party harder and longer. In general, cocaine is abused alongside alcohol and other party drugs like ecstasy (MDMA) and heroin. When a person takes coke, they will immediately experience a high, characterized by feelings of extreme cheerfulness, pleasure and energy, mental clarity, sociability and general awareness of all that is happening around them. How fast does the cocaine work? If snorted, the coke high kicks in almost immediately. If taken via injection, the high comes on equally soon. How Long Before Cocaine Works? Lead time to getting a full high depends on several factors. If the person takes impure cocaine cut with non-psychoactive substances, the high may take a longer time to kick in. If the coke is pure, the person will experience the high within 5 minutes. However, because most people who take coke take it together with alcohol, which is a depressant, the resulting high may be suppressed. This is an important reason why abusing drugs can be fatal. A person taking cocaine and alcohol simultaneously will not feel like it is working, so they may ingest more of it. If they continue, drug accumulation in the body may exceed the body’s ability to break it down, resulting in a lethal cocaine overdose amount. When on coke, its psychoactive agents cross the blood-brain barrier and affect the Central Nervous System directly. The drug targets explicitly mechanisms in the brain that modulate reward pathways in the brain for dopamine and serotonin. In a standard setting, the brain controls how much of these neurotransmitters are released through a reuptake mechanism. The mechanism mops up excess quantities when not needed. Cocaine interferes with this mop-up process. The result is a flood of reward neurotransmitters in the brain, what is otherwise known as a high. When the high hits, the person experiences all the pleasurable effects that these chemicals have on the brain including feelings of happiness, euphoria, relaxation, mental alertness, etc. The dark side of coke is that a brain on cocaine soon loses its natural structure, assuming a structure that is tuned to function within new parameters. Changes include downregulation of pleasure receptors, making it harder for the person to get high. Other functions that get affected include mental clarity, hallucinations, brain damage that can lead to Parkinson’s, among others. The unhealthy cocaine serotonin axis also leads to unhealthy behaviors as the person tries to recreate increasingly-elusive highs. The result is a strong addiction that can destroy the person’s social, mental, emotional and psychological well-being. Coke acts as an antagonist in the brain, limiting the reuptake of dopamine and other related neurotransmitters. This mechanism of action is what makes taking the drug such a dangerous habit. 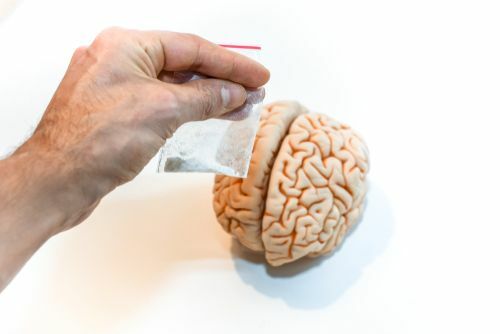 The brain is naturally tuned to seek out pleasure and so when taking coke induces a level of satisfaction the brain is not accustomed to; it refocuses on recreating that high. That is why persons on it will go days without eating, showering, or taking care of themselves in general because the brain is using all its resources to find another high. When in this state, the person will not wonder, how much is cocaine affecting their life. At this point, getting coke addiction treatment is the only answer. How long does cocaine stay in system? Coke has a relatively short half-life of between 45 minutes and 1.5 hours. It is how much time it takes the body to metabolize the drug to its inactive metabolites. So, when a person takes it, the high will typically not last long. How long for cocaine to take effect? Around 5 minutes. How long for the effect to wear off? 30-90 minutes. This is the primary reason why people who take coke must continually do so to maintain the high. Such persons will make frequent trips to the washroom to snort during a party and other similar behavior. This builds not only physiological tolerance but also reinforces behavioral habits associated with taking the drug. Cocaine works by increasing arousal and inducing feelings of happiness and excitement. This masks the true danger of taking the drug. Taking it rewires the brain in a way that turns a person’s life upside down. While starting off using cocaine may be enjoyable and exciting, once tolerance, dependence, and addiction set in, these happy times become a distant memory. What remains is the nightmare of addiction and life destroyed by drug abuse. Before taking the drug, it is important to weigh these two sides of the coin and consider whether a fleeting high is worth a lifetime of suffering. If you recognize the symptoms of cocaine abuse in you or a loved one, act now. Call (888)-459-5511 today to speak with a knowledgeable representative. Addiction Resource » Addictive Substances: The Anatomy of Drug Addiction » Cocaine and Crack Addiction and Treatment » How Does Cocaine Work and Affect the Brain?